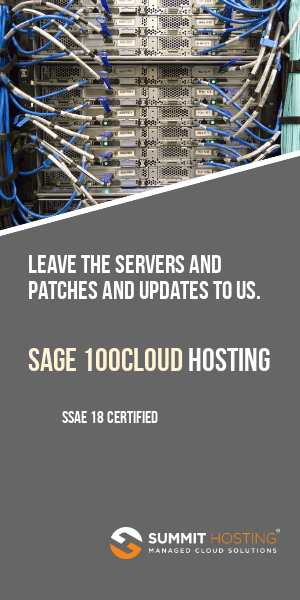 Sage just announced a promotion that might be of interest to some existing users of Sage ERP MAS 90 or 200 who’ve let their maintenance lapse. 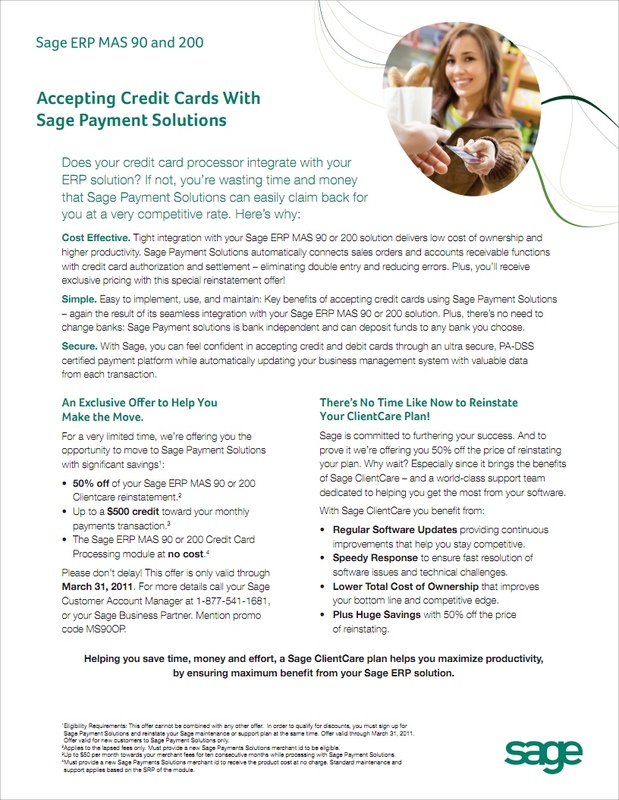 For a limited time Sage is offering 50% off Clientcare reinstatement, a $500 credit toward monthly payment transaction fees and the Sage ERP MAS 90 or 200 Credit Card Processing module at no cost. UPDATE: This promo applies to customers on at least version 4.10 of Sage ERP MAS 90 or 200. Computation of back maintenance is up to 2 years prior maintenance plus one year forward (which you can put onto Easy Pay using your bank account as a drafting source with monthly installments). The SPS promotion is 50% off the software update (lapsed fees) for a new SPS sign up. Sage is targeting customers whose last version shipped is 4.1. It is available to clients whose last version shipped is 4.1, 4.2, 4.3, and 4.4. Here is how it works. · If the customer, off plan signs a 3 yr agreement with SPS, Sage will provide a 50% discount on the software update of their reinstatement. · Up to $50/month for the first 10 months off transaction fees. · Must start transacting within 90 days of acceptance. This promotion (click the image above for the details) runs from today through March 31, 2011. 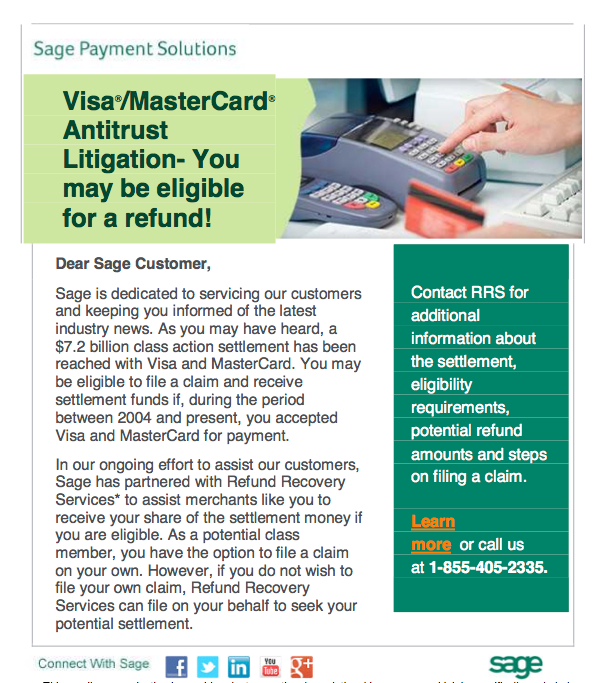 For more information you can contact your Sage Customer Account Manager at 877-541-1681, or your Sage Business Partner. Be sure to mention promo code MS900P .